I am a huge fan of Superga sneakers. 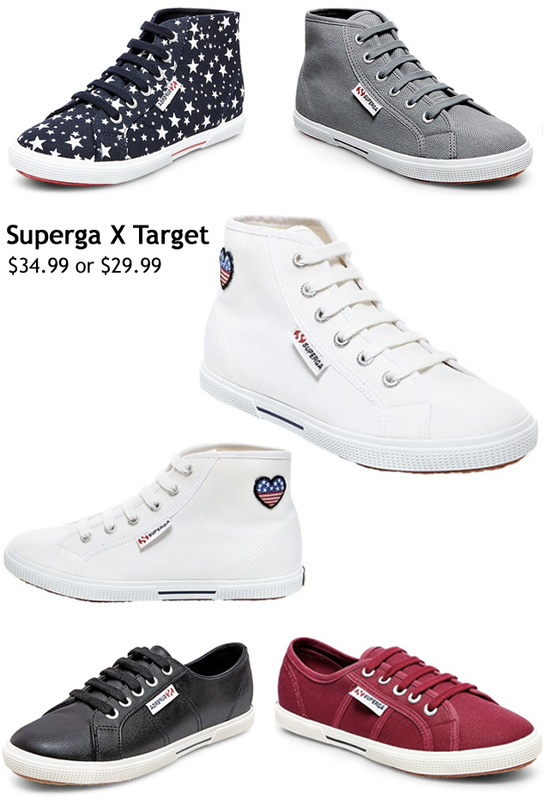 This new collaboration between Target and Superga is awesome. The sneakers are half their normal price and they come in a great variety of colors and patterns. I have my eye on the white high tops and I plan on purchasing them tonight! I'm in love with these shoes. I'm going to get a pair for sure!! !